Product Activation has been introduced by Microsoft as a solution against copyright violation. Many of the laptop users tend to use the same copy of Operating Software for various systems. They do so because each original copy of the OS costs about $80-100 on an average. Microsoft introduced the process of Product Activation since 2001 with the introduction of Windows XP. This process of activation links your system with product key. When Windows 10 was launched, the company made many hilarious announcements. These included that the Windows 10 will be made available for users of Windows 7, 8, 8.1 users at free of cost for the initial year. Still Product Activation remains as an integral part of Windows 10. Here I would like to share a few things related to Product Activation and Troubleshooting. 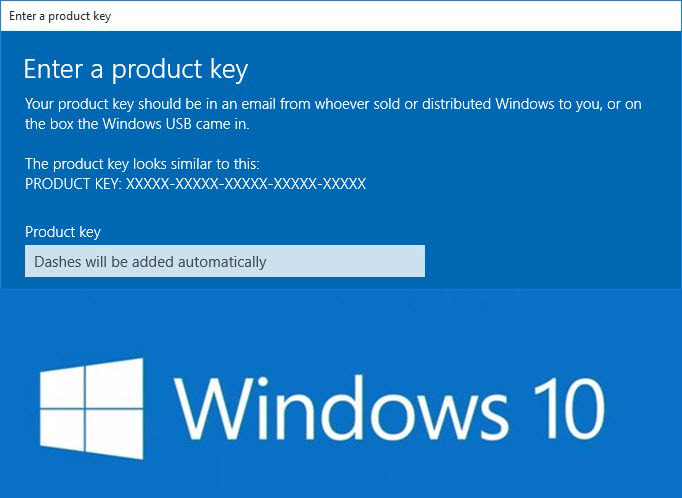 Before proceeding with this there are certain things that you must know regarding the Windows 10 Product Key. You must be well aware of the fact that Windows 10 needs its own unique key. 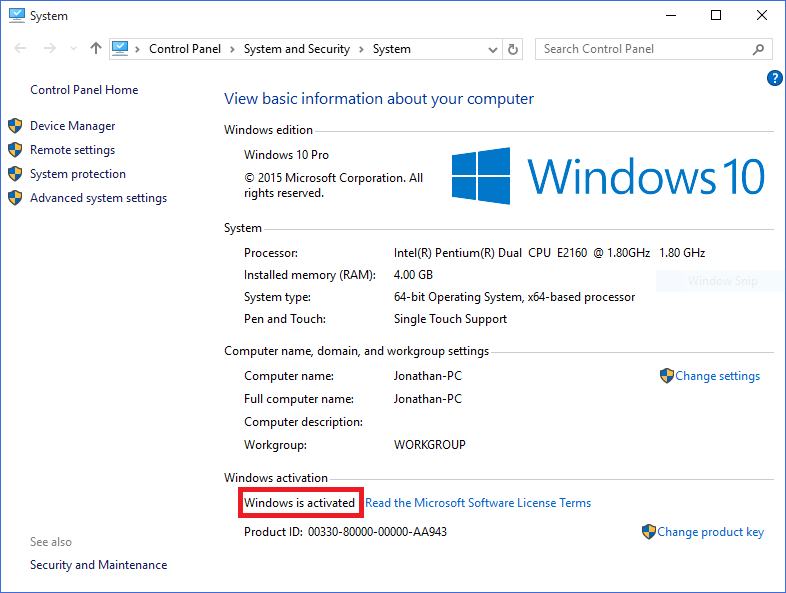 Windows 7 or 8 or 8.1 key cannot be utilized to activate Windows 10. Windows 10 is designed with an activation key inside it. So there is no need to get a separate product key. Also when you upgrade to Windows 10 from licensed version of Windows 7 or 8 or 8.1, you need not enter separate product key, since you upgrade to Windows 10 from a licensed version. If you prefer to have a trouble free installation, then you must continue from Windows 7 or 8 installation. If you are warned to have a Product Key, just select Do this later, and wait for few days. Windows 10 will be automatically activated in the meantime. Sometimes you may encounter with messages showing that certain errors occurred during the upgradation. My advice is to give it sometime. The servers may be trafficked heavy pending the upgradation process. If you wait patiently, it will be rectified in time provided you had done the upgradation correctly. In earlier versions of Windows OS you may encounter with the following problem. When you install an upgrade and then you want to reinstall it, you may have to reinstall the previous version from which the upgradation has done and then you have to reactivate it. After that you have to continue with the upgradation process followed by reactivation process. But in Windows 10 it is quite simple. When you have upgraded to Windows 10 and activated it, you are allowed to make a bootable mimic either on a DVD or on USB. Now you are allowed to continue with reinstallation process without any hassles. 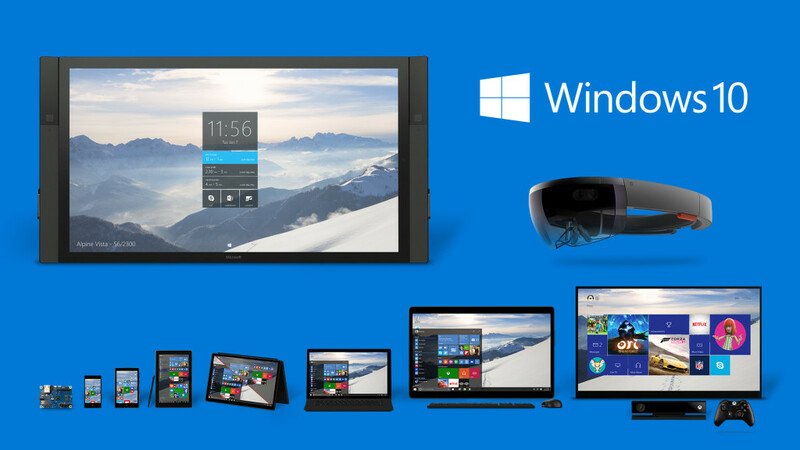 Here what happens is that Windows 10 catalogues your system with Product Activation Center. It maintains a duplicate of your system activation in Cloud memory. Thus whenever you proceed with reinstallation, it surf for Activation Server and identifies the peculiar Installation ID. If you prefer to activate Windows 10, you are required to enhance from qualifying OS which are both licensed and genuine. The qualifying OS includes Windows 7 or Windows 8 or 8.1 or Windows 10 Insider Previews. If you are using Windows 10 enterprise Preview, you have the choice either continues to use Windows 10 Insider Preview Programme or enable it using product key from Volume License Service Center. If you are restricted from using Windows 10 Enterprise, then you have to get back to licensed version of Windows. Is Clean Installation is Possible in Free Upgrade? The answer is an absolute No. You are definitely in need of a licensed version of Windows 10. Upgradation is possible only from such licensed version of Windows. You must admit the fact that clean installation of Windows 10 is not at all possible by free upgradation. All you have to do is to upgrade to Windows 10 from licensed version of Windows and the activate it. Now you are allowed to have a clean installation with help of recovery or reset function. It is available at Start >> Settings >> Update & Security >> Recovery >> Reset this PC (Get Started). What you have to do when Windows is not Activated? Windows 7 Starter, Home Basic, Home Premium, Windows 8.0 Core, Windows 8.1 Core should be upgraded to Windows 10 Home ISO. Windows 7 Professional, Windows 7 Ultimate, Windows 8.0 Pro, Windows 8.1 Pro should be enhanced to Windows 10 Pro ISO. Presently installed version of Windows should be activated. If it is not, you will be asked to enter a product key. If you are using Windows 7 Enterprise, Windows 8.0 Enterprise, Windows 8.1 Enterprise editions,then you are not allowed to avail the benefit of free upgrade offer. Get Windows 10 App proves the fact that presently using Windows version is not a licensed version and also is not activated. Windows can be activated by Start >> Right Click Computer (Windows 8 and after you have to click on Windows Key + X) >> Properties. There you have to make sure that Windows is activated. In certain cases you may be encountered with following problem that, you have upgraded to Windows 10 from licensed version of Windows. Then you may have decided to reinstall the same with the help of either an ISO file or by Resetting PC or by Recovery Drive. Still you be warned to enter Product Key. All you have to do is to click on Do this later. Now Windows 10 will get activated in few days. In certain other cases, you have performed installation of preview version of Windows 10. Now you want to upgrade to final launch, but now are not able to activate it. At some point of time Microsoft withdrew its Preview versions along with their activation keys. This ultimately prevents the user from downloading, installing and activating earlier versions like 10162 and 10166 to cope up with final launch. The best available solution id to reinstall licensed version of Windows and then activate them. This can be done by getting into Activation. You have to follow the following steps. Settings >> Update and Security >> Activation. If you select Activation, then you can see whether the Windows is activated or not. This error might be due to over traffic in activation servers. All you have to do is to wait for some more days for automatic activation. If the problem persists then it is advisable to contact Microsoft Activation Center. Hit Windows Key + X. From there select Command Prompt (Admin). Then you have to enter the following: slmgr.vbs –rearm. Now you have to tap on Enter. Now you have to close the Command Prompt and Restart your system. Select Windows Key + X. Then select Command Prompt (Admin). There you have enter the following: slmgr.vbs –ato. Now you have to click on Enter Key on the keyboard. After closing down the Command Prompt you have to Restart your system. It is advisable to perform System File Checker to make sure that it solves any issues that may stop product activation. Here you have to search for system files which are in its partial form and then you have to repair them for smooth functioning. If you are prevented from entering Product Key, then you have to click on Windows Key + X. From there you have to click on Command Prompt (Admin). There you have to enter the following and press the Enter Key: slmgr.vbs -ipkxxxx-xxxx-xxxx-xxxx. Now you have to close down Command Prompt and restart your system. Now you have to perform the Activation Process for one more time. What Happens When Windows OS Currently Using is not Licensed? For checking this you have to tap on Start >> Computer >> Properties >> Windows Activation. There you will find Product ID which will be something like 12345-067-1234567-54321, in which you have concentrate on the 3 digit section. Compare it with the above given triplets. If it matches then you may have MSDN or TechNet Keys. MSDN or TechNet keys are authentic product keys from Microsoft. They are the original retail licenses. But they are targeted on either Microsoft Software Developer Network (MSDN) or TechNet which is designed for IT Professionals who are ready to pay a fixed amount as fees. If you finally found that your license is from either MSDN or TechNet, then certain other things can also happen. You might have purchased MSDN licensed key which includes an option of 10 activations instead of 1 in retail packages. One who sold it to you may have sold the same to others also. Those who have purchased it, may have installed it and done the activation. But the problem arises when the maximum limit of 10 activations is attained. After that Microsoft simply rejects and restricts further activation using that particular activation key. What is the meaning of Defer Upgrades in Windows 10?